Both sides lay blame on each other for clashes on first day of UN-brokered truce in strategic port city of Hodeidah. 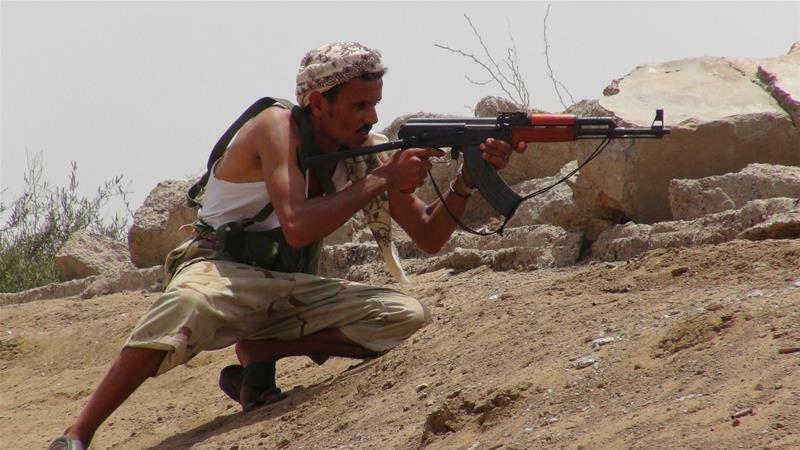 Houthi rebels and forces loyal to the Yemeni government have accused each other of violating a ceasefire in the western city of Hodeidah, less than 24 hours after the UN-brokered agreement came into effect. The Houthi-aligned Al Masirah TV network accused forces backed by the Saudi-UAE coalition of shelling several sites, including areas east of the airport. Meanwhile, the United Arab Emirates' (UAE) news agency, WAM, quoting a Yemeni source, said that the Houthis fired mortar bombs and rockets at the May 22 hospital in the eastern suburbs. "A total of 21 violations since the ceasefire commencement have come to our notice," a member of the Saudi-UAE coalition told the AFP news agency on condition of anonymity. "If the UN continues to drag the chain and take too long to get into the [military] theatre, they will lose the opportunity altogether ... and the agreement will turn into a dead duck". "The situation is fragile and it's expected to be fragile for the next couple of days," said Hakim Almasmari, editor-in-chief of the Yemen Post. "But since UN representatives are expected to be on the ground pretty soon, these attacks will gradually disappear". Meanwhile, residents in the capital told Al Jazeera that air attacks targeted the al-Dailami airbase in Sanaa, close to the capital's airport. The truce, the first significant breakthrough in peace efforts since the war erupted in 2014, was one of a number of confidence-building steps to pave the way for a wider ceasefire in the impoverished Arabian Peninsula country and for a framework for political negotiations. Caroline Seguin, programme manager at Doctors Without Borders, said despite the relative calm in Hodeidah, the situation was still perilous for civilians. "The situation is very bad. Access to care is limited, specifically in the area of Hodeidah inside the city but also around the city," she told Al Jazeera. "There is less and less hospital capacity because staff left because they were near the front line. Whereas some hospitals have now been destroyed and can no longer provide care to the civilian population". Hussain al-Bukhaiti, a pro-Houthi activist, called the Rimbo agreement deeply flawed, saying it failed to immediately address the country's dire situation. "The Sweden agreement linked the flow of humanitarian aid to the security situation in Hodeidah. They [the UN] should have reopened Hodeidah port. "They should have allowed food and medicine to come into Hodeidah even though it's under Houthi control because as UN has said before, most of the humanitarian aid is coming through Hodeidah," al-Bukhaiti added.